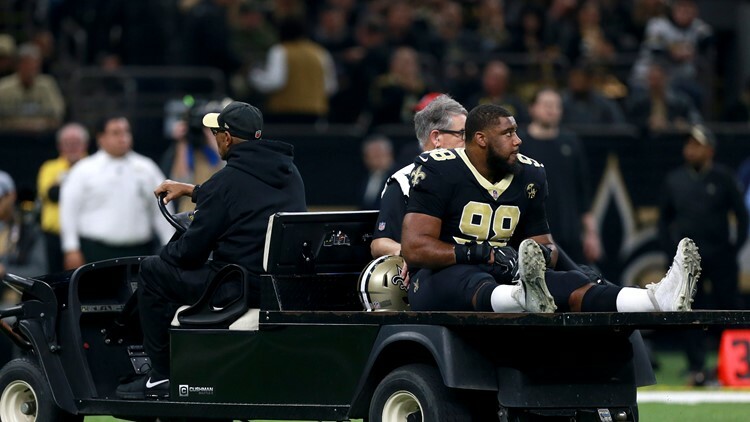 NEW ORLEANS — The worst part of a bad first quarter in the Superdome Sunday was seeing Sheldon Rankins carted of the field. RELATED: When is the Saints-Rams NFC Championship game? RELATED: On to the NFC Championship! Rankins will have an MRI to confirm, but if he has torn his Achilles he will miss the rest of the post-season and most likely the start of the 2019 season.